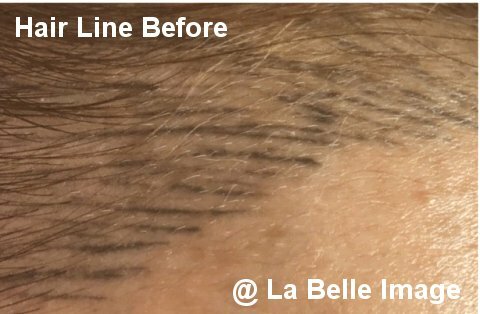 Do you suffering from permanent make up or microblading such as asymmetry,too dark,bad design or change color oddly? Permanent makeup,microblading and tattoo pigments contain metal. 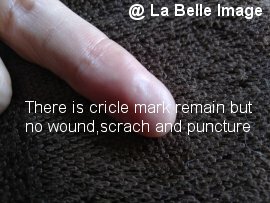 The tip of the machine used for removal is magnetized, pulling out the pigment under the skin with the magnetic attraction. Removal machine and lubricant that uses magnetic cartridges developed by French dermatologist so only minimam damage on your skin. Magnetic cartridge is NOT needles and surfs on the skin and NON-INVASIVE.Moreover, it is not irradiated with strong heat and light. 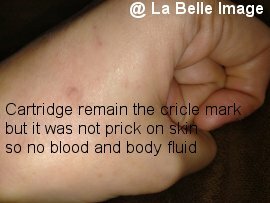 The lubricant developed by dermatologist.It is not strong acid or alkaline and not peel off your skin. Magnetism does not affect hair,so no need to shave and no hair loss.Eyebrows are intact. Cartrige response to the metal contained in pigments, so it can be used for any color. Fill in the medical record to confirm your physical condition and discuss about your Permanent Make Up or Microblading such as how many times and when you done it.Please do not hesitate to ask me anything you do not understand. Remove dirt and oil from area with cleansing lotion. 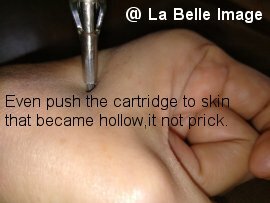 Surf the cartridge with lubricant over the skin.Repeat wipe, moisturize,surf the cartridge.A maximum of 20 minutes of treatment can not be done longer than that. Clean the treated area with wet cotton. ✽There are individual differences in how you feel pain. 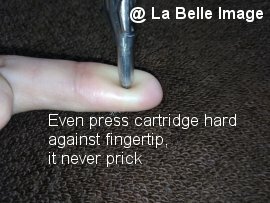 Rubbing the skin with a metal cartridge may cause a slight pain. ✽Redness may appear on the skin after treatment in case.Redness tends to occur in the case of treatment for thinner skin and dark remaining color. 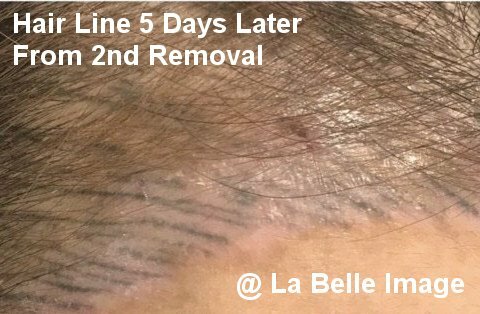 ✽The number of required removal sessions depends on the depth, quality, and level of pigment saturation inside the dermis. ✽it is "treatment to pull out pigmentation", in the process of removal it will be reddish or light pink if you were usued pigment that change color when it fade. ✽I can not granty to be able to remove pigment complatery.Some customer continue removal,some satisfy if Cosmetic Tattoo become noticeable,some will cover with new PMU or Microblading after pigment is paled out and some will under go laser removal after color get light.Please choose a method that you can convince. 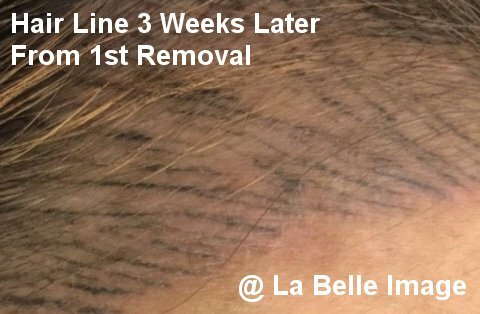 Introducing the case that redness is strong and recovery takes longer time in particular.